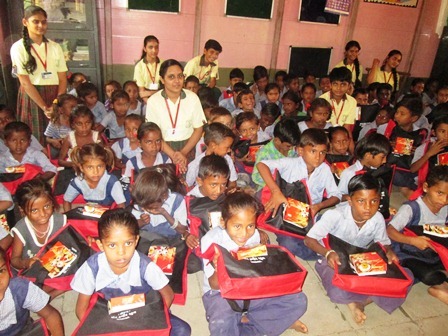 The school has adopted 10 villages in Kheda district as a part its responsibility towards the community. St. Kabir looks after their day-to-day requirement and maintenance along with the upgradation, by providing them with computers and also training the staff in their usage. The student of St. Kabir school and these village schools meet frequently and exchange views, help each other in various activities and learn from each other. 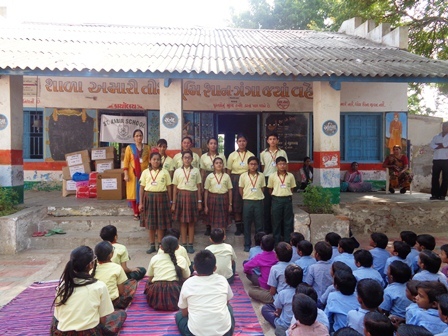 The school helped in the relief and rehabilitation of earth quake victims of Gujarat, constructed a School at Bhuj and has brought smiles on the faces of differently abled children by filling their surroundings with a kaleidoscope of colours. The School magazine serves as the forum for free and honest expression and exhibition of the thoughts and experiences of our young, budding writers. Interesting article of the students finds its place in the magazine which is compiled and edited by the children themselves. The Annual day Celebration in the school is very grand affair with 100% student participation where parents of all the students are invited to enjoy their child’s performance. The school focuses on building character qualities in its students. A special communion towards this aim has been introduced called “joining hands” wherein the parents and the teachers collectively undertake activities to make the children aware and consciously practice values like honestly , patience, compassion, discipline, responsibility etc. 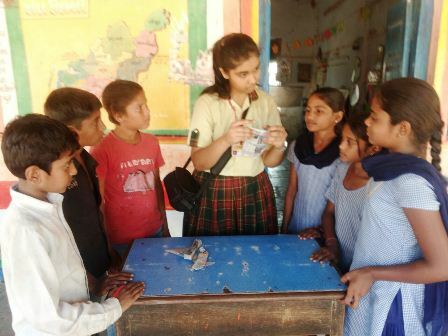 The students on their part have conducted several social awareness drives across the city on issues like pollution, health and hygiene, save water and Anti-Tobacco, Traffic Friendly City drive, Say no to polythene bags. Schooling is not only about studying but also about having fun. Education is best imparted, if learning is made fun. 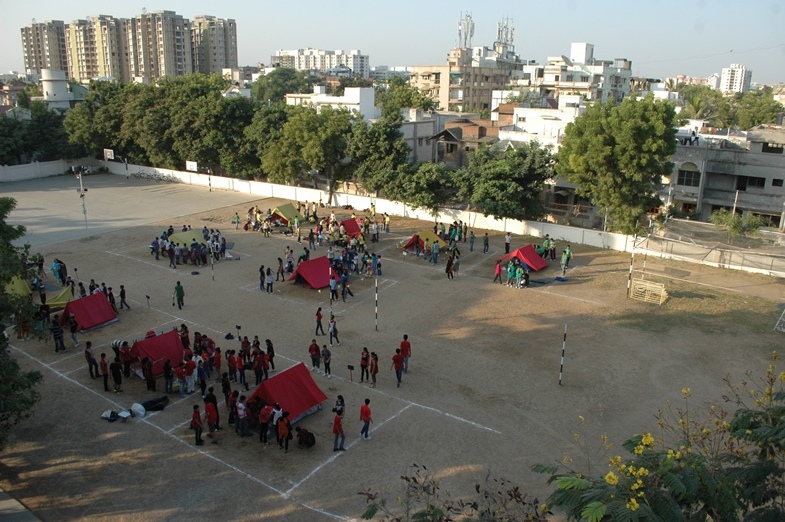 It is because of which we encourage the active participation of students in picnics. 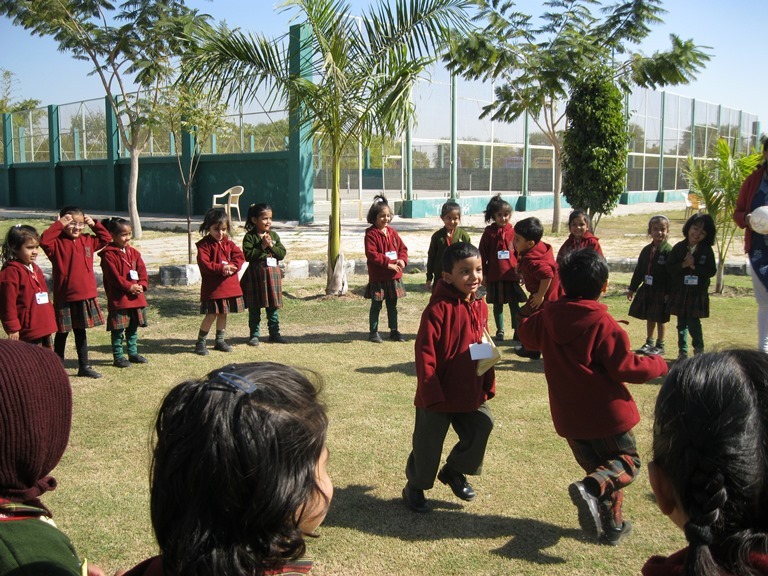 These activities at school act as effective stress busters in the hectic school schedule and also help create an environment that is conducive to the general growth and development of young minds. To develop the Team Building, Team Coordination spirit, & leadership qualities. Camps are regularly organised in order to encourage ‘Team Building’ spirit among the teens of the school, keeping in mind their critical age. The children are taught to pitch their tent and decorate it, cook their food and participate in various Camp activities. At the same time, they are also instructed to be eco-friendly and avoid ‘Camp-Fires’ in order to Save Fuel. 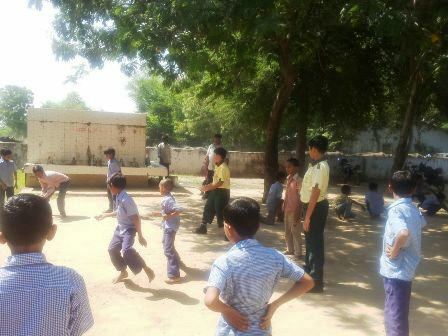 Believing that ‘a healthy mind can reside only in a healthy body’, St. Kabir School takes special care in garnering the spirit of sportsmanship among the students by training them in different sporting events such as Cricket, Basketball, Volleyball, Kabaddi, Kho-kho and different kinds of Drills. Regular sports competitions are held for different sports at Inter House level to inculcate team spirit and a spirit of competition. The school has its own Cricket and Basket Ball team and a proud sporting line up at the national level in different sports. The Kabir Ground was inaugurated by India’s Cricket icon Mr. Kapil Dev who brought the World Cup home. 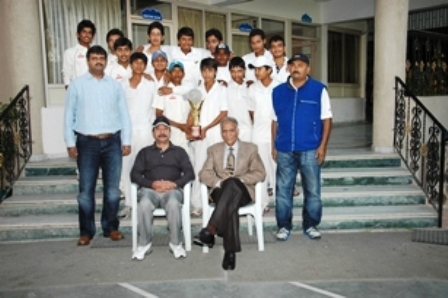 The presence of Mr. Kapil Dev itself motivated our student to keep in mind, the fact that ‘The sky s their limit’. There is a team of efficiency, specialized coaches to train the students in various sports. 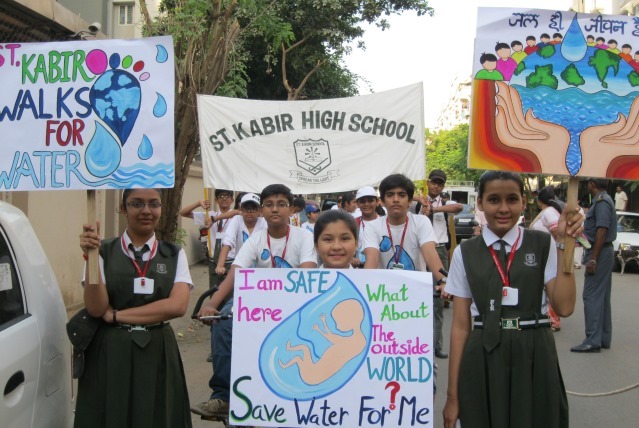 St. Kabir also conducts special training for student scouts. 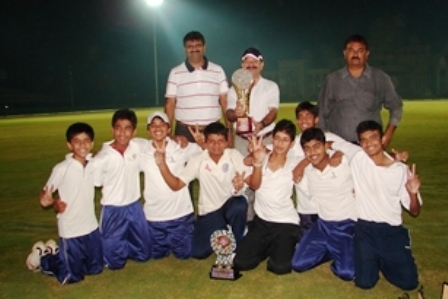 Our students have won the Interschool Marcher Trophy for three consecutive years.